Posted by utechalumni in JOB VACANCIES. The Administrative Support 2 will provide confidential secretarial and administrative support services to the Faculty. This involves carrying out effective and efficient communication and liaison, establishing and maintaining administrative systems, preparing and maintaining various types and forms of documents and records, and extracting and organizing data/information in the required format. Under the direction of the Director, Technical Services and Networks, the web and graphic designer is responsible for designing and maintaining the library’s web presence as well as designing graphics for promotion of the library’s services and resources. 2. Recommends innovative solutions and customer interfaces to improve usability and content. 3. Develops and initiate procedures for ongoing website updates and revisions. Posted by utechalumni in Professional Development, Scholarships, Uncategorized. 38. Macquaire University Australia (http://www.mq.edu.au/…/macquarie_university_international_…/ . Please share for the benefit of our brothers, sisters and kids who may want to apply. NOTE: The University of Technology, Jamaica (UTech, Ja) shares career and other opportunities on this blog, sourced from non-UTech, Ja entities and organizations, based locally and overseas. This is done as an information service to its alumni community and other users. UTech, Ja is not liable for any loss or damage, personal or otherwise from the use of said information. UTech, Ja does not guarantee that your participation in any of the activities referenced will be a good and safe decision for you. It is understood that users of the blog will do their own research and proper due diligence, to determine what is a profitable and safe opportunity, before committing to any action. Posted by utechalumni in UTech News, UTech Research, UTech Workshops. The School of Business Administration of the College of Business & Management offers a wide range of undergraduate degree programmes and is seeking to make academic appointments across a number of disciplines. Posted by utechalumni in UTech Events. Posted by utechalumni in Alumni Events, UTech Events, UTech Research. The Internal Audit unit of the University of Technology, Jamaica is currently conducting an audit of the Marketing Function and we are requesting your assistance in responding to the following questions. Please click the following link and answer the questions provided. Thank you for taking the time to complete the survey. It is appreciated. Posted by utechalumni in Alumni Events, Alumni News, Uncategorized. Posted by utechalumni in Alumni Assn UTech, Alumni Events, Alumni News, Uncategorized, UTech Events, UTech News. The Alumni Community of the University of Technology, Jamaica (UTech, Ja) wishes to express heartfelt admiration and congratulations to Mr. Ronald “Ronnie” Sutherland, President, Alumni Association, UTech and General Manager, FYAH 105 FM, on being the recipient of the Distinguished Past Student Award, 2017, University of Technology, Jamaica. The award was shared at the University’s 47th Annual Awards Ceremony, held Friday, May 26th, 2017 at the Papine Campus. Below we share the citation read in honour of Ronnie, who has enjoyed a vibrant and robust career across multiple industries, and has served his Alma Mater, UTech Jamaica, commendably. We continue to wish him much success in his personal and professional life, and look forward to experiencing his ongoing positive engagement with our University. Posted by utechalumni in Alumni Assn UTech, Alumni Events, Alumni News, Alumni Relations Office, PHOTOS, UTech Events, UTech News. On Thursday, June 1st, 2017, the University of Technology, Jamaica (UTech, Jamaica) hosted its President’s Alumni Reception. 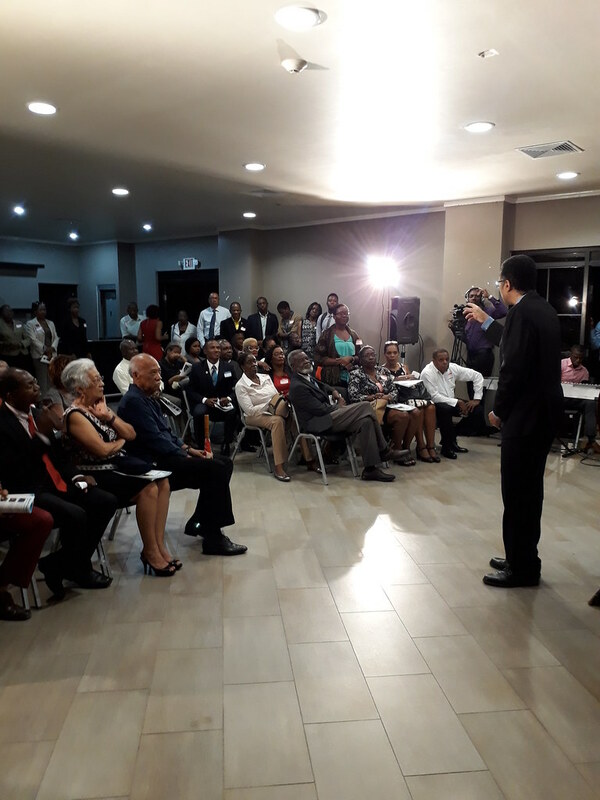 Over 130 Alumni and staff attended to show #Goodwill to new President Prof. Stephen Vasciannie and their Alma Mater, UTech, Jamaica. The #UTechJamaicaPride of our Alumni is truly INSPIRING! CLICK ON THE PHOTO BELOW TO ENJOY THE EVENT ALBUM!